Seems like there’s some entrepreneurial spirit going on right here in our own house. I’m not sure if it’s because the new season of “Shark Tank” has begun (my whole crew likes guessing if an endeavor will get an offer and if so, who will make it), or if it’s because they know there’s another eleven months until Christmas so they might have to earn and buy their own fun things. Either way, our Princess, who was a huge help in taking down Christmas, decided to sell the candy canes we’d hung on the tree. Yes, we did just take down our Christmas tree. I won’t give you an exact date, but it was sometime between Epiphany and–ummm today. 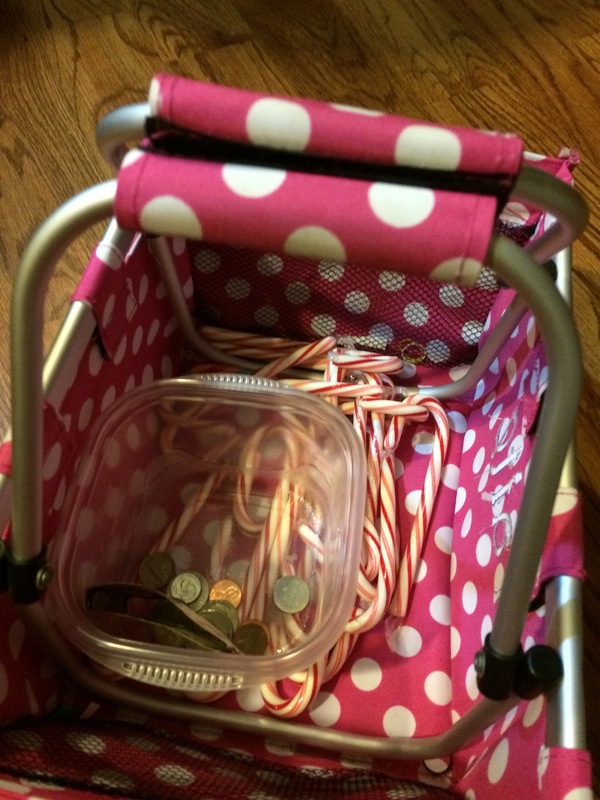 So there are all these candy canes, and goodness knows we don’t need to eat them all, so she put them in a basket with a “For Sale–50 cents” sign and a free newspaper (leftover from Christmas) if you buy two. Call me a bad Mama but I told her I bought those things one time, I’m not paying for them again. Somewhere (I suspect she twisted her Daddy’s little finger) she collected some cash and change. Today she had moved her set up to the couch directly across from where I sat reading and writing while she was working on math. Subliminal messaging? She needs to work on it, but she’s off to a good start. At one point she went to practice piano and left it all sitting there. Cooter walked up, grabbed a handful of her change, and went running to where she was in the other room. He’s not even eight, for goodness’ sake. After they went back to what they were doing, I sat and thought about his words and the truth in them hit me. We do need to hold those things close we treasure the most. Our hearts, our spirits, our names, our honor, our family, our beloved friends. Hold them close and never let go. Turns out for an almost eight year old, he might be onto something. But no, I’m not giving him real estate for his birthday next month. If I did, what on earth would I give him when he’s ten? Wishing you all really good things and people to hold close and treasure.